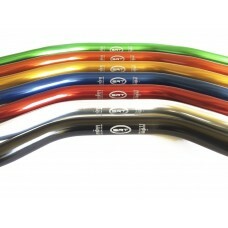 Handlebar bends low, medium fold, high fold, 22 and 28 mm with variable section. Specialists in the production of low fold handlebar, medium fold and high scourge, from 22 and 28 mm with variable section. 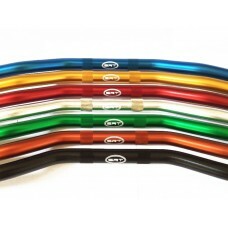 We manufacture handlebars for Naked, enduro, hyper naked, hyper sport, sport, fairing, motard, tuoring. 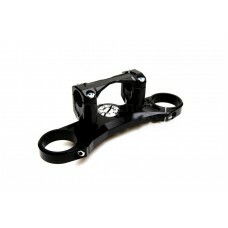 We produce low-angle fold, medium-fold, high-bend handlebars with top-quality materials like the ergal 7075; and after years of study and confirmation by customers we have developed different types of folds to adapt according to the needs of the rider and according to the bike on which they will be assembled. Handlebar 28 mm bike with variable section 22 28 mm medium fold, low fold, high fold for naked large displacement, for enduro, for bmw gs or africa twin 1000, motorbike touring or changes to sports carenate with handlebars. 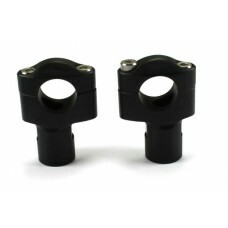 If you have a 22 mm handlebar and you want to mount a 28 mm handlebar with variable section we have 28 mm handlebar risers, adaptable to all the bikes. For lovers of fairing and sports bikes, such as Honda CBR, Suzuki Gsx-r, Yamaha R1 / R6 or Kawasaki Ninja, we have the best performing and adjustable half-handlebars. If you want a handlebar that solves all the problems you have to rely on the numbers 1 of the handlebars. At SRT Factory we are specialized in the production of 22 mm and 28 mm flexible handlebars with variable section in ergal, low fold, medium fold, high fold. We have been producing dumbbells for over 10 years and in these years we have listened to the most common problems of our customers, solving them. Our handlebars low fold, medium fold, high bend solve these and other driving problems. 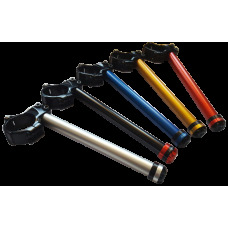 Choose the numbers 1 of the market, choose the specialists of the bike handlebars.